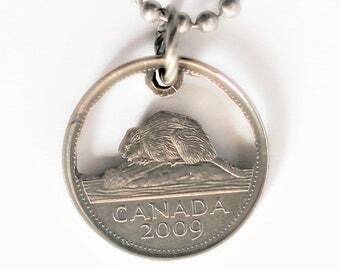 This Canadian coin necklace was made by an authentic Canadian 25 cents coin. 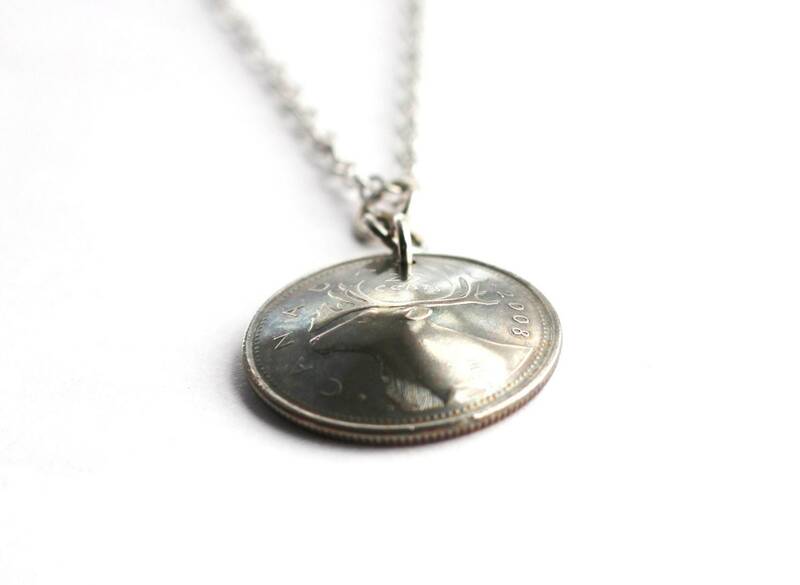 A caribou, a Candian national symbol, is featured on the convex side of the coin. 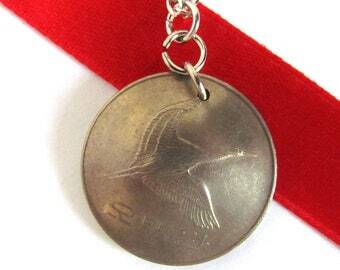 The word CANADA and the date is present. On the concave side is Queen Elizabeth surrounded by ELIZABETH II D.G. REGINA. 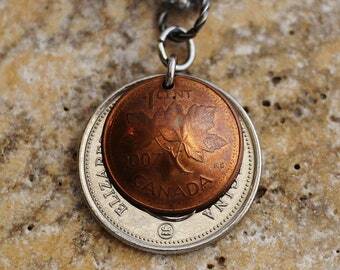 I oxidized the coin which darkened it to add interest by giving it an old-coin look. 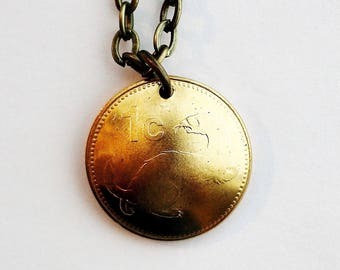 The back has some slight blue tint due to the oxidation.This coin hangs from a rhodium plated silver chain by a sturdy antique silver textured ring. 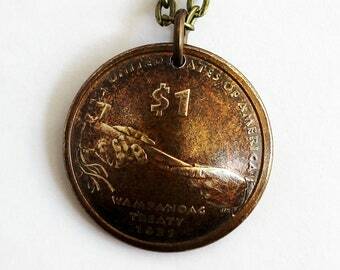 It has great detail on either side and is in good shape. Notice how it has been domed. 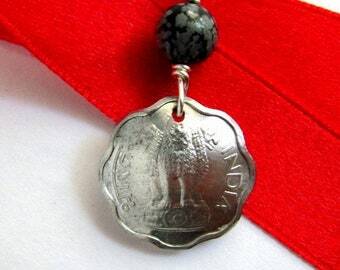 This circulated coin is in very good condition. However, I purposely darkened the metal by oxidation. 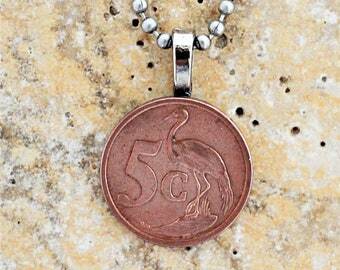 The diameter of the coin is 7/8 inch (23mm) and it hangs by a sturdy antique silver ring that compliments the shading of the coin. 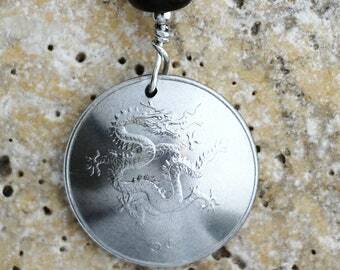 It hangs 1 1/8 inches (29mm) from a rhodium plated silver chain secured by a lobster clasp. Please select the chain length when ordering.